You’ll feel the magic the moment you step inside the beautiful Dafmark Dance Theater in the heart of downtown Erie. This five-day session is a fun-filled introduction to the circus arts for campers, ages 8 to 16, with any skill level. Ideal for kids who are new to circus and for campers who want to expand their circus skills and make new friends: this session has it all! 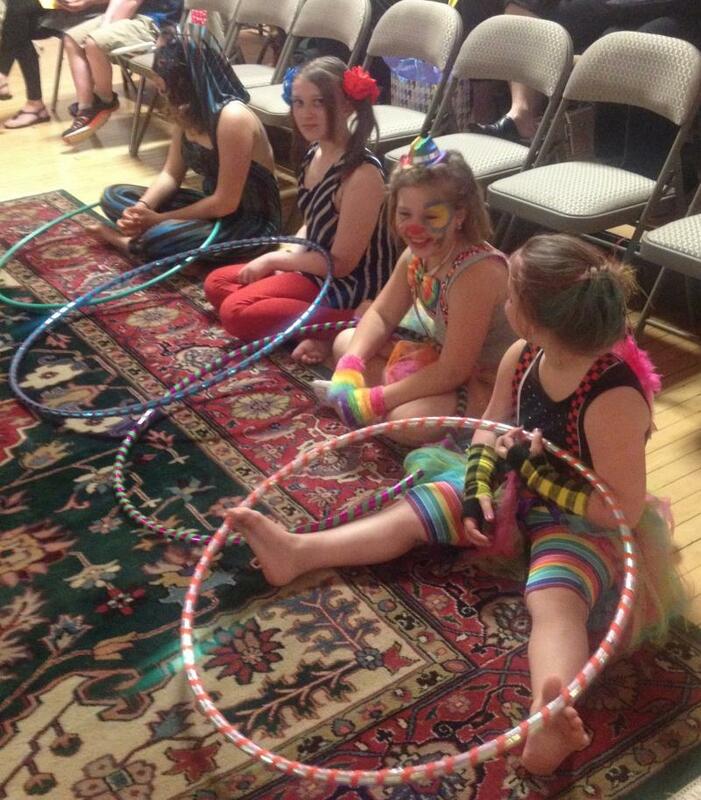 Circus Day Camp Erie ends with a circus showcase for family and friends. - Responsive to a wide range of camper’s feelings, needs, cultures and abilities. - Encourage leadership skills in campers by letting them offer ideas to expand or enrich an activity. Born in Buffalo, NY where she began her dance training at the age of 3. She is trained in ballet, modern, tap, jazz, african, hip-hop, creative dance and hoop! 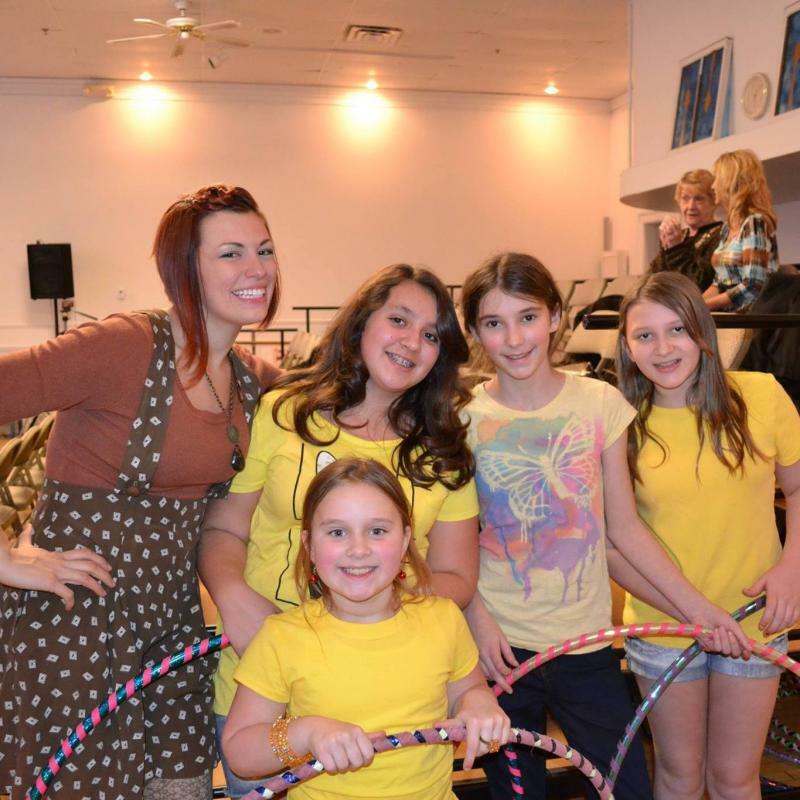 She has been hooping since June of 2010 and has been teaching hoop dance since November 2010. Jennifer currently dances with Dafmark Dance Company, teaches 12 weekly hoop classes in Erie, PA, and is a Pennsylvania Council on the Artist Roster Teaching Artist. 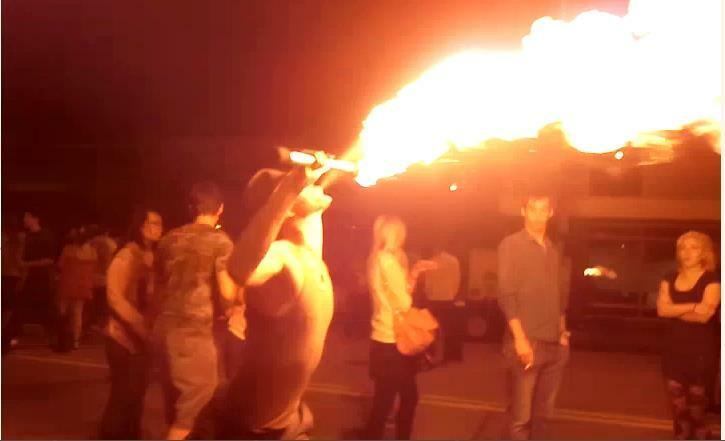 She is the founder of Lake Effect Hoop Troop & Circus Day Camp Erie. Jennifer's latest endeavors include integrating creative dance practices into hoop dance, developing a new program to take low income high school students to Peru to teach hoop dance to children there, and teaching PA Standards Based curriculum through hoop dance and creative movement in schools and social service organizations. Growing up Shaina had a stong passion for all forms of art and had hoped to be in the circus one day. Her mother used to be a juggler and comes from a family of fire dancers and artists. 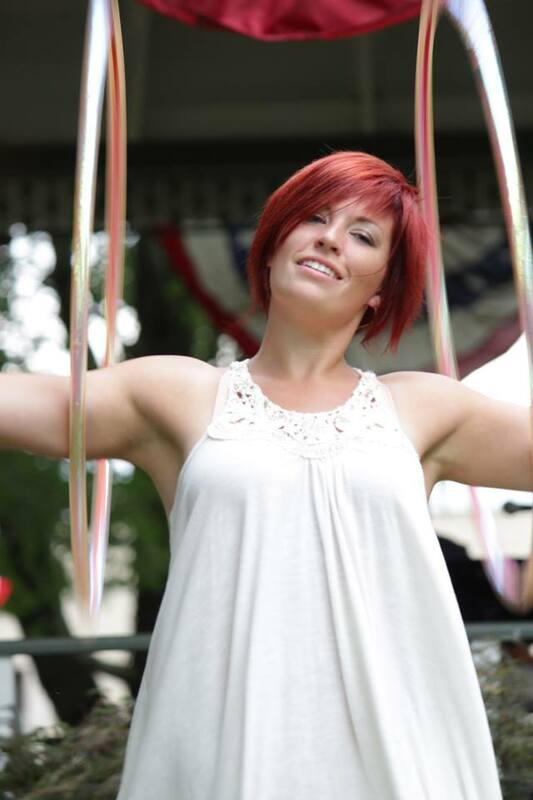 Shaina is both a visual and performing artist based in Erie, PA. Shaina has performed for the past 4 years as a member of Lake Effect Hoop Troop not only as a hoop dancers but additionally with ﻿juggling, fire eating, fire breathing, contact juggling, devil sticks, poi, and staff. Shaina is always learning new art forms and has a strong passion for teaching as well. Currectly Shaina teaches hoop classes at USA Fitness in Union City and under the direction of Jennifer Dennehy through the Erie School Districts GEARS program. Shaina can't wait to share her knowledge and excitement with those who attend Circus Day Camp Erie.